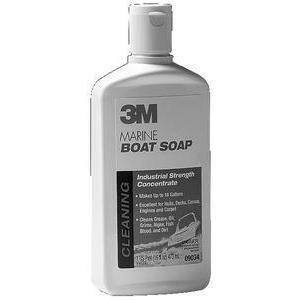 Multi-Purpose Boat Soap, 16 oz. Cleans anything from dirty decks to soiled fabrics to degreasing engines. Cleans grease, oil, grime and algae. Mix concentrate with water for desired cleaning strength.